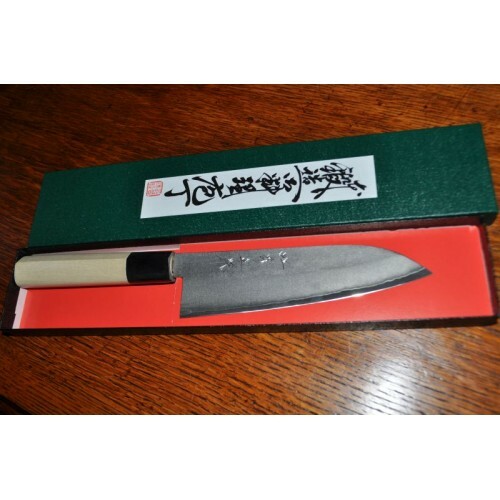 Santoku - in Japanese it means 3 kinds of knife - for meat, fish and vegetables. A great allrounder for the kitchen. 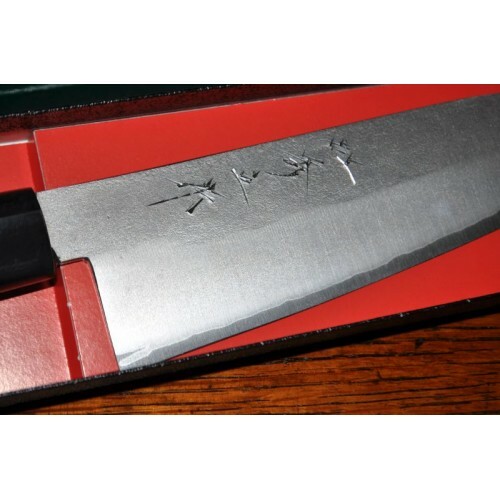 Made from V Gold 10 stainless steel - sharpens well and holds it's edge. The blade is finished off in what they describe as a sand finish - very eye catching! Handle is a typical Japanese style handle made from Magnolia wood. Blade length - 165mm. Overall length 300mm.